TabiEats: How Do Japanese People Spend Christmas? And What They Eat. How Do Japanese People Spend Christmas? And What They Eat. HI guys. So Christmas Day has finally arrived here in Japan. The tree and decorations are up and we've already had our Christmas dinner. But wait...Christmas day has just started! I don't blame you for wondering that. But you see, here in Japan Christmas is celebrated on Christmas Eve! It's true. Christmas Day in Japan is just another work day. Everyone goes to work and children go to school. It took me a few years to get used to this, but I'm OK with it now. I basically go with the flow and do what the locals do now. 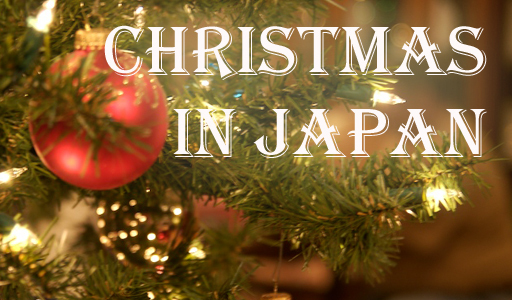 We did make a video for you to show you exactly what Christmas is like in Japan. Come join me in my Tokyo apartment for Christmas Eve dinner and stay for a few minutes while my friend and I talk about the odd things that make Christmas in Japan so unique. There is one Japanese tradition I adore during this time of the year, which is eating a Christmas Cake. In fact, without one, Christmas just isn't complete. This year, I decided to take the DIY route and instead of buying one, I sort of made my own. 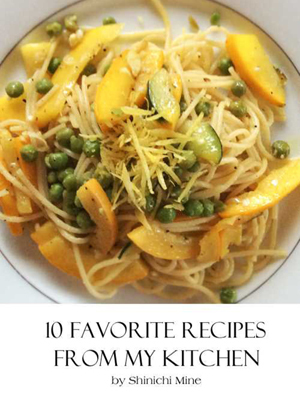 I say sort of because I was too lazy to make the sponge myself. I purchased my sponge cake at store ( it's sold all over Japan during this holiday season ) but I did make the frosting and decorated with strawberries and all. If you like Japanese-Style Strawberry Shortcake, you might like the simple way I make mine with store-bought sponge ( or one made from a cake mix ). Place one layer of sponge cake on a plate. Put a mound of whipped cream on top and smooth evenly. Arrange sliced strawberries on top. Cover with more whipped cream. Place the second layer of cake on top. Spread more whipped cream on top, making sure to cover the sides of the cake as well. Place whole strawberries on top. If you have any leftover cream, continue to decorate the cake as desired. Now if that weren't enough, I also decided on making some doughnuts. But why did I do such a thing you ask? Here's the short story. You see, a friend of mine came over and decided to make some doughnuts for some strange reason. Why doughnuts? I don't have the answer, but I'm not one to complain about doughnuts. It was good alright, but you know it was kind of....well how do I put it nicely...plain. So since I was in a holiday mood, I simply had to do something to spice things up. So here's what I did with them. They look really pretty don't they? Now I also made a quick video tutorial on how to do this with just a few ingredients so if you have some doughnuts lying around, try this one out. Makes enough for 5-6 donuts. Mix all ingredients for the matcha icing until smooth and slightly thick and not too watery. Dip one side of your donuts into the matcha icing. Put on wire rack and repeat with all of your donuts. Mix all red icing ingredients until smooth and creamy. Add red food coloring if desired. Put into a piping bag or a plastic bag with the tip cut off. Pipe onto the matcha donuts. 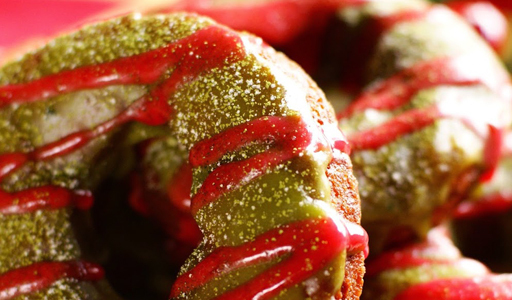 For extra color and flavor, add more matcha powder onto the top of your donuts. Finally add a sprinkle of confectioner's sugar for a nice snow-like effect. Enjoy! TIP: If you're making donuts from scratch, make sure they are completely cooled before icing. Finally, I'd like to take this opportunity to thank all of you for your support and love. Without you guys, I would have never started this blog so thank you from the bottom of my heart. Your comments, suggestions and love help me continue to do what I love. So here's wishing you and your family a very Merry Christmas and eat well!